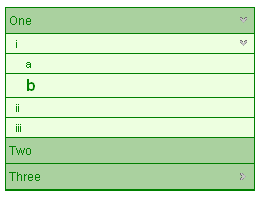 Drag a RadPanelBar from the toolbox onto a new AJAX-enabled application Web form. 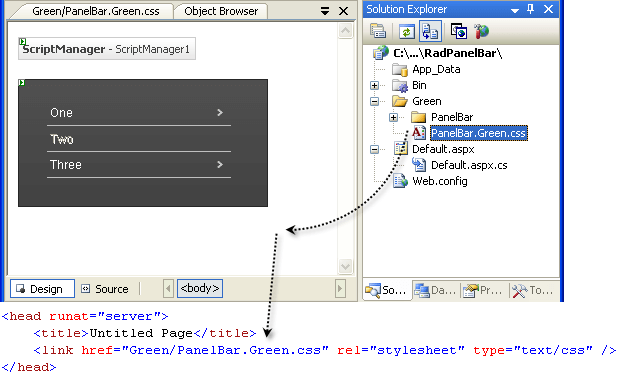 Copy the default RadPanelBar skin files from the installation directory to the "Green" directory; copy both the \PanelBar directory that contains the images for this skin and the PanelBar.Default.css file that defines the skin styles. Set the EnableEmbeddedSkins property of the RadPanelBar control to False. 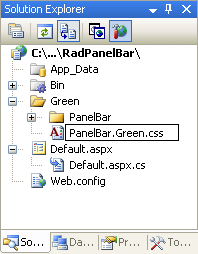 Change the Skin property of your RadPanelBar control to "Green". 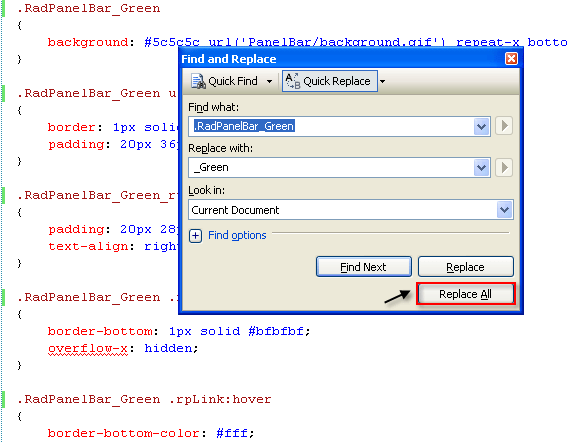 The next few selectors involve the .rpText class, which is applied to the text label of items. When an item has child items, the A element in its rendering gets the .rpExpandable or .rpExpanded class applied in addition to the .rpLink class. 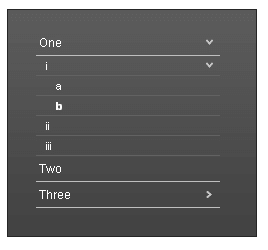 A number of selectors in the CSS file use this class to handle the arrows that appear on these items. Leave these rules as-is, making use of the arrows from the default skin.